Follow WSOU On Social Media! Need the latest in metal news? Want to know what giveaways are going out? When is the next tour coming to the area? 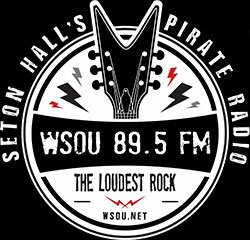 How about a link to WSOU band interviews? You can get all of this and more from the WSOU Facebook, Twitter, and Instagram. It’s time you signed up for all our social media! When you are following us on Facebook, Twitter and Instagram, WSOU’s social media can help you stay in the know. On our Facebook, you’ll get the latest on what’s going on along with pictures and live streams from concerts and WSOU Present shows. See video from shows like Metallica at Metlife Stadium and special features like being live at Comic Con. Over on our social media you can learn about giveaways and when to listen for a chance to win. Learn about the latest band that was up in studio for an interview and hear the insights of the artist. So like us Facebook, and follow us on Instagram and Twitter. If you are living the metal lifestyle, we’re pretty sure you’ll be glad you did. And the meme’s are free.